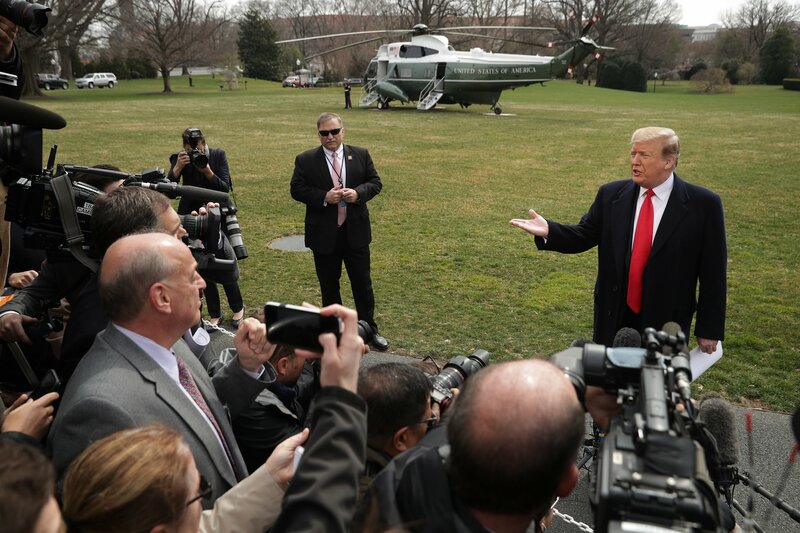 President Donald Trump on Wednesday said he supports the public seeing special counsel Robert Mueller’s final report that’s believed to be on the brink of being completed and submitted to Attorney General William Barr. Congressional leaders—on both sides of the aisle—have been concerned that they may only see portions of the special counsel’s final report. Mueller will submit it to Barr, who will then be tasked with determining what information, if any, is released to Congress or to the public. The House voted 420-0 last week to make the Mueller report public, but an attempt by Senate Minority Leader Chuck Schumer to force a vote on the measure in the Senate was shot down by Republican Senator Lindsey Graham. House Intelligence Committee Chairman Adam Schiff warned last month he will “subpoena the report, we will bring Bob Mueller in to testify before Congress, we will take it to court if neccessary,” in order to obtain it. Although the president said he supported Mueller’s report being publicly released, the White House has requested to see it report before Barr submits anything to Congress, according to CNN. And Trump’s full response to reporters before boarding Marine One for Ohio was contradictory at times, with the president saying the public deserves to see it while adding it was at the discretion of Barr. Trump did not explicitly say that he would authorize its release. The president has repeatedly bashed Mueller and the entire Russia investigation as a “witch hunt,” in addition to reportedly not cooperating with document requests from the House Democrats who are investigating him, his family, his business and his associates with official congressional probes.